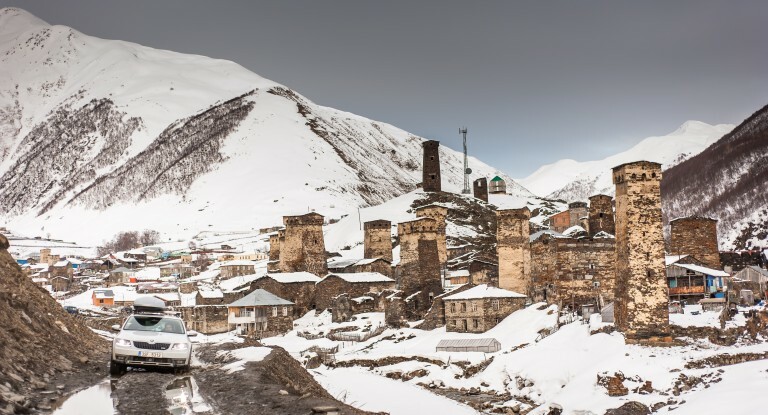 To Georgia and back: writer Adam Jelinek embarks on a drive from the Czech Republic to this country in the Caucasus, somewhere between Europe and Asia. In the ŠKODA Octavia Scout, he experienced fascinating cities, quiet monasteries and unpredictable natural conditions. A road trip adventure. One thing is clear: Georgia is well worth a visit. The ŠKODA Octavia Combi Scout, my friend Jiri and I travelled 9,100 kilometres. We crossed nine countries in just under two weeks. Days and nights at the wheel, over the Bosphorus and through the Caucasus Mountains. As we leave Prague, the first crocuses are poking up through the earth and we’re heading towards spring. After a night in Budapest, we approach Istanbul the following afternoon. Even from a distance, the Bosphorus glistens in the spring sun. The city, with its long and rich history, straddles two continents and connects Europe with Asia. The metropolis of the east has gone into the history books as the capital of three world empires: as Byzantium in the Roman Empire, Constantinople in the Byzantine Empire and Istanbul in the Ottoman Empire. The Ottoman era in particular continues to shape the image of the city today. In every direction, the skyline is still punctuated by cupolas and minarets. We weave our way through dense traffic in this city of over 12 million people. We don’t have much time to spare, but we don’t want to miss one of the most important attractions in this city on the Bosphorus. The fragrant air one senses immediately at the entrance is not the only oriental experience to be had in the Egyptian Bazaar, which was built in the classical Ottoman style with abundant cupolas. Brilliant red, yellow and dark green mounds of saffron, thyme, paprika and jasmine tea make the stalls a feast for the eyes. Even from a distance, the Bosporus glistens in the spring sun. The Egyptian Bazaar is one of the oldest markets in the city; construction began in the mid-17th century. 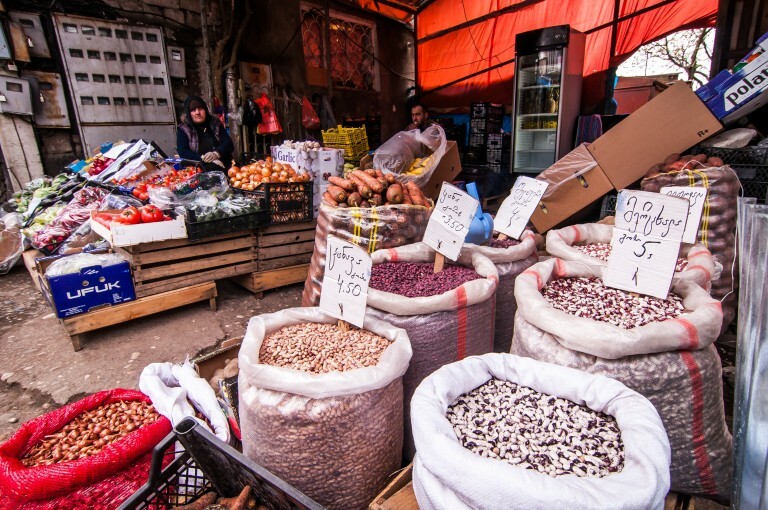 It received its name due to the overwhelmingly Egyptian origins of the spices and fabrics that are still sold there today, along with fruits, nuts, caviar and souvenirs such as textiles, jewellery, ceramic goods and traditional clothing. We take a break near Galata Bridge. On the seaside entrance to the spice bazaar, the Pandeli restaurant is ideally located. Climbing a stairway framed in turquoise wall tiles takes you to this institution on the second floor: a family-owned restaurant that has offered traditional Istanbul cuisine since 1901. Kebabs, lamb and vegetable purée are the house specialities, and the table is a rich banquet. We have to add a night in Istanbul to our schedule. The next morning we find ourselves at the Bosphorus Bridge, an imposing suspension bridge that hangs 64 metres above the river in the sunshine. 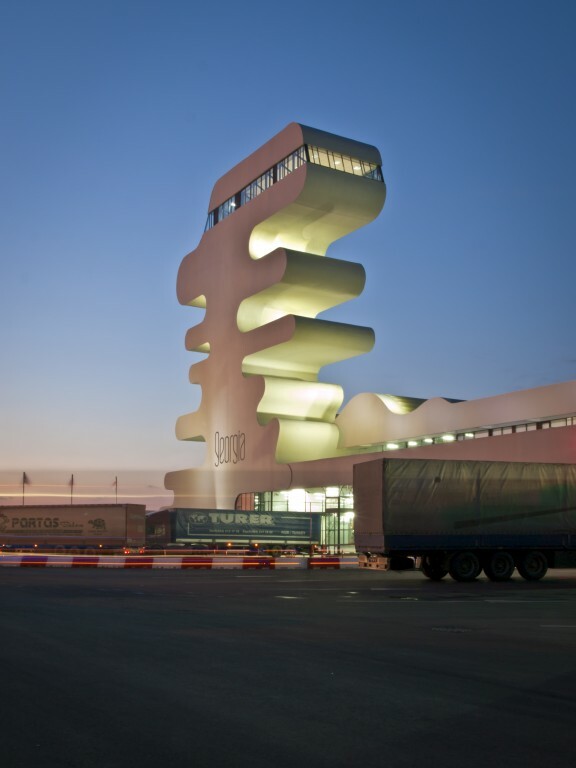 Completed in 1973, the structure handles over 200,000 vehicles daily. The bridge is gigantic and impressive. We take the 1.5-kilometre drive in the outermost of the eight lanes. The car behind honks impatiently as we enjoy the spectacular view. What an exhilarating feeling! In bright sunshine, we glide from Europe into Asia. From here on, we start to make faster progress. We are glad to have the Lane Assist function in the ŠKODA Octavia Scout, which automatically keeps the car in the middle of the lane. Adaptive Cruise Control manages gaps and speed and makes motorway driving less exhausting. 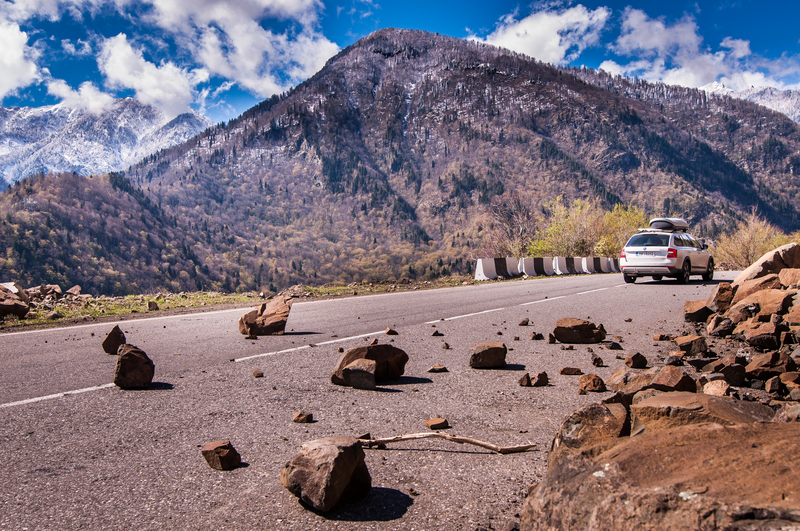 Beware of falling rocks: the asphalt is in good condition, but large rocks litter the way. A slalom course in the wilderness – this, too, is Georgia. After half a day on the road, the new border station between Sarp in Turkey and Sarpi in Georgia appears unexpectedly before us. German architect Jürgen Mayer H. has erected a flowing structure here: a solitary tower that nevertheless manages to blend into the landscape. The extending bulges and terraces correspond to the coastal landscape on the eastern shore of the Black Sea, with its steep hillsides and the sandy beaches between them. In the new structure, completed in 2014, Jürgen Mayer H. sees a sign of the current revival of Georgian fortunes (see our interview in the box). 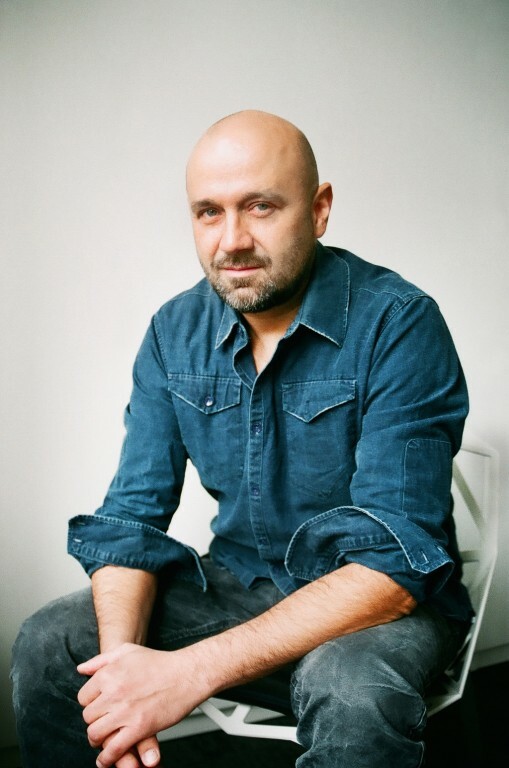 The signature of the Berlin-based architect seems to be everywhere in Georgia these days, with commissions from former president Mikheil Saakashvili. Over the past five years Jürgen Mayer H. has built more than a dozen buildings, such as the airport and a police station in Mestia, various filling stations with service areas and many infrastructure projects throughout the country. The flow of tourists to the Caucasus republic of Georgia, which maintains visa-free travel agreements for short and longer stays with numerous states, continues unabated. While 2009 saw a total of just 1.5 million visitors, Nearly 5.4 million international travellers visited Georgia in 2013. It was the first year in which the number of visitors exceeded the number of residents (4.7 million). From here on we start to make faster progress. We’re glad to have the lane assist function in the ŠKODA Octavia. Border architecture. The building on the border between Turkey and Georgia was designed by Berlin-based architect Jürgen Mayer H. and was commissioned by the government. In Georgia, we’re in good company with our ŠKODA Octavia. The state has just invested colossal sums in the police and their cars. Indeed, the police and their Octavia patrol cars are everywhere. Just a few kilometres from the border lies the port and university city of Batumi on the Black Sea coast. The streets are full of wild traffic, and construction work is everywhere – property prices in Batumi have seen a threefold increase in recent years as plans to turn the seaside city into a tourist magnet take shape. We look at the large harbour, but need to keep moving towards our destination: Poti, some 90 minutes to the north up the Black Sea coast. German architect Jürgen Mayer H. has been working in Georgia for years and has built over a dozen buildings for the government. The border station at Sarpi and the airport in Mestia are architectural icons known throughout the country. We spoke with Jürgen Mayer H. about his work and the country in the Caucasus. Question: Mr Mayer H., you designed the border station at Sarpi. Is this building particularly special to you? Answer: Yes, because it’s a place that symbolises not separation, but the coming together of two neighbours. The border control station is located directly on the Black Sea coast. A tower with terraces provides lookout points over the sea and the steep coastline – you can even swim in the sea up to the border. Beyond the normal checkpoints, the building also contains conference rooms, meeting rooms, viewing platforms, restaurants and duty-free shops. It’s a place of communication. A place where the country extends its welcome to visitors and bids farewell to those who are leaving. So it’s definitely an extraordinary place. The building is at the entrance to Georgia and is a sign of the current revival of the country’s fortunes. How did you garner the attention of President Saakashvili? And what attracted you to working in Georgia? It was our Metropol Parasol project in Seville, Spain, that president Saakashvili had seen in a publication. The mayor of Tbilisi at the time was familiar with the Moltke Dining Hall in Karlsruhe, Germany, which was also designed by us. And these two things combined were what prompted them to invite us to Tbilisi. That was the beginning of many exciting projects. How do your buildings in Georgia relate to the country and its history? One good example is the Queen Tamar Airport in Mestia. The airport is part of an ambitious plan to open the region to tourism. The medieval city, characterised by its stone defensive towers, is a UNESCO World Heritage Site and has developed a reputation as a winter sports region. These towers can also be seen from the airport and were adopted as a symbol of the area in the towering shape of the airport building. Similar motivation was behind the newly built police station in Mestia. Even the sculptural buildings from the Soviet era are important reference points for our work in Georgia. What has especially impressed you about the country? The contrasts within a rather compact country. A subtropical climate on the Black Sea, the Greater Caucasus, gorges and high plateaus resembling the Grand Canyon. Also curiosity about the future and pride in their rich history. And the incredible hospitality of the Georgians and their international connections. Do you have a favourite place in Georgia? What should new visitors be sure not to miss? I recommend a visit to Svaneti, the historic region in the Greater Caucasus, as well as a trip to Batumi, the port city on the Black Sea. 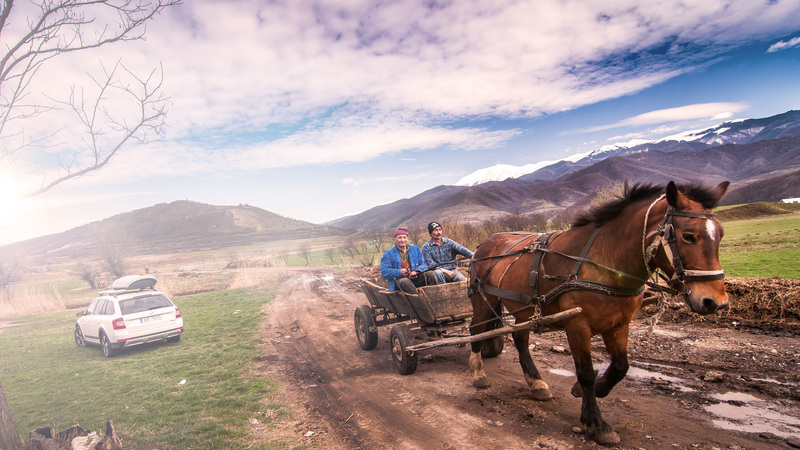 Between Mestia and Ushguli: we need five hours for a trip of around 50 kilometres. The roads are only passable from spring to autumn. The wind pushes dark, low-hanging clouds from the sea over the land and the rain is soon coming down in sheets. On the uneven road we can scarcely see what’s around the next corner thanks to poor visibility, but the Scout’s suspension handles it with aplomb. Then an expected blow: the steering wheel pulls to the right, and we just manage to stop on the shoulder. A flat tyre! Something has drilled its way into the rubber. Fortunately the rain has let up and we find a full-size spare wheel in the car. With a volume of 610 litres, the luggage compartment easily accommodates our bags as well as the old tyre as we continue to Poti. We don’t see much of this seaside town, and the next morning at the garage we’re staring at a ten-centimetre hole in the winter tyre. 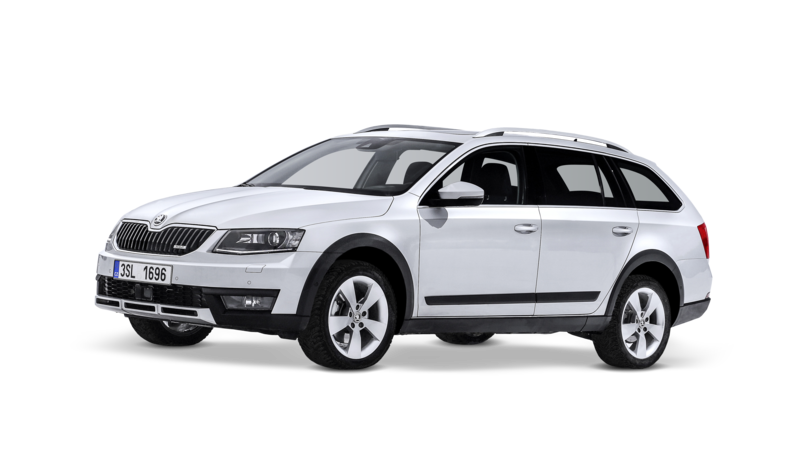 We need a new tyre, though the rim only needs to be balanced a little – the Octavia has demonstrated its robustness. We finally hit the road heading northwest – we’re on our way to Mestia. The historic small town is about 1,500 metres above sea level in Svaneti, a mountainous region in the Greater Caucasus, and a UNESCO World Heritage Site thanks to its impressive stone towers. The Koshkebi, as the defensive towers are known, were built between the 9th and 13th centuries to serve as sanctuaries for the townspeople when they were attacked. The roads are freshly surfaced, but there are hazards above. Road signs warn against falling debris, and on several occasions we do indeed encounter large rocks in the road and have to swerve to avoid them. Slightly outside the town, we see the futuristic Queen Tamar Airport, another project by Jürgen Mayer H.. Named after the medieval ruler of Georgia, which reached the apogee of its power in that golden age, the airport is meant to spur tourism in Mestia. 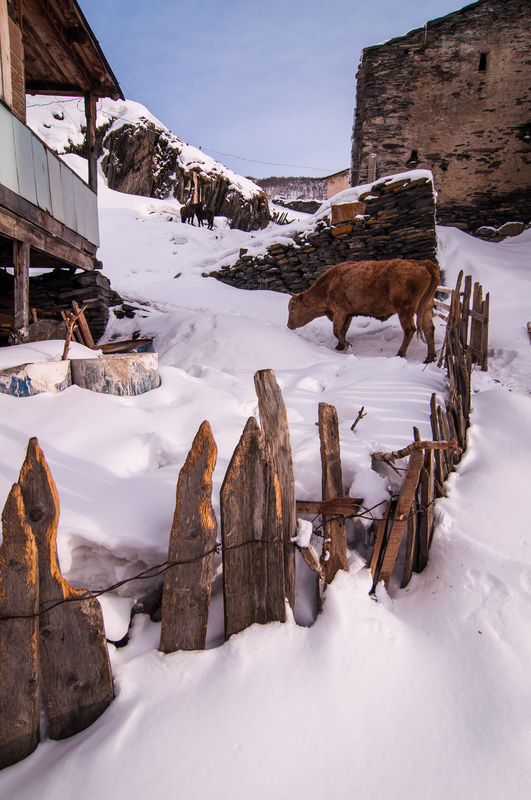 Typical village in Svaneti: simple homes and livestock. In winter, some towns can only be reached on four-wheelers or with snow chains. Georgia is made for adventures. We want to challenge nature. The mountains attract outdoor enthusiasts to Mestia in both summer and winter. Visitors can check out the surrounding peaks on a helicopter ride. The Tetnuldi peak towers above the massif. At 4,858 metres, it is the tenth-highest summit in the entire Caucasus. And we have some good luck: 30 centimetres of fresh snow fall overnight and the lift operator at the ski area is kind enough to start up the lift for us. We have the slopes almost entirely to ourselves and the sun is shining – yet another unbelievable experience served up by the Caucasus. Georgia is made for adventures. We want to challenge nature and further explore the wilderness of the mountain range. Ushguli is our destination: a community of four villages in a valley far removed from civilization at the headwaters of the Inguri river and the foot of the highest mountain in Georgia. At 5,200 metres above sea level, Shkhara is on the main ridge of the Greater Caucasus and thus the border between Georgia and Russia. We’ve come a long way! In winter it is all but impossible to reach Ushguli by car – the only road into town is snowed over and closed to traffic. We asked the locals in Mestia if we would have a good chance – now, in spring – to make it there in one piece. The Octavia is parked in front of the tourist information centre in Mestia. With a glance at the car, two employees there assure us that we would definitely master the difficult route safely. We decide to take their word for it and don’t bother obtaining more information about road conditions. It’s a decision we soon regret. Just outside Mestia, the asphalt road ends and an obstacle course begins: one pothole after another, with puddles so deep that the water reaches the engine’s intake duct when we drive through them. Everywhere there are fallen rocks the size of medicine balls and mud covered by a thick layer of snow in many places. 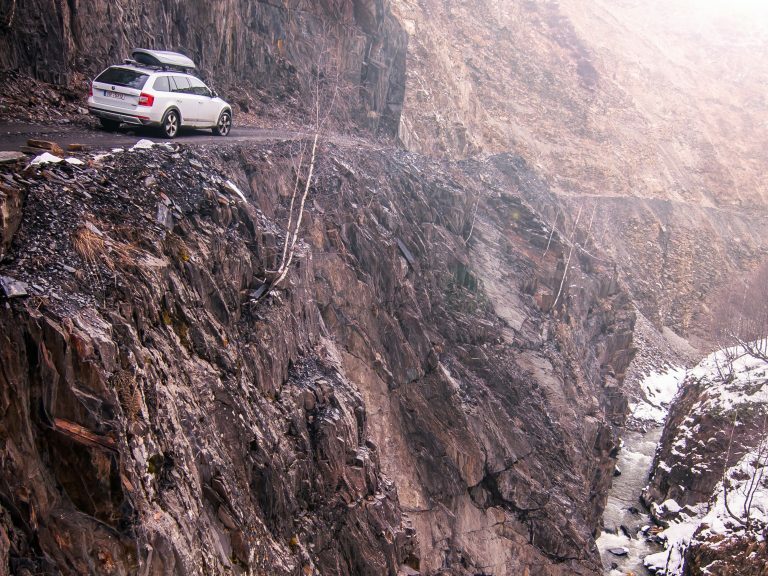 This road is the ultimate off-road experience. In the Greater Caucasus: the snow cover in Ushguli lasts for up to six months. The striking, medieval defensive towers are a UNESCO World Heritage Site. Every vehicle that gets stuck brings all traffic to a standstill. The suspension withstands the many trials. We travel the narrow mountain roads at a speed of 10 km/h. Now and again, we encounter oncoming off-road vehicles. At one point, we see a jeep in front of us that is driving even slower than we are. A sign indicates a gradient of 12 per cent. We’re stuck amid snow, deep tracks, rocks and mud. The road is too narrow to turn around and every vehicle that gets stuck brings the rest of the traffic to a standstill. We decide to go for it. I switch off the ESP and put the Scout into first gear with the manual gear-shifting function. It all depends on the initial torque, because every gear shift means the end of forward motion. The 2.0 TDI engine in the Scout scoots forward and masters the incline with no problem. We manage the 48-kilometre route in just over five hours, and feel like heroes when we drive into the village. The locals look at us as if we were aliens – other than suitably equipped off-road vehicles, there are generally no cars there. The weather is inhospitable. We enjoy the view of the Greater Caucasus peaks and then head back to Mestia. Today we’ve done a bit more than 100 kilometres in ten hours of driving. Gudauri awaits us. This holiday destination on the Georgian Military Road stands on Mount Kudebi (3,006 metres) and is known for its varied skiing terrain. It’s a journey of 550 kilometres and it will take the whole day to get there. We cross Georgia and take in the sights as we drive through. The only motorway under construction in Georgia is incomplete. The central reservation is home to grazing cows, and in place of a hard shoulder, trees have been planted at the roadside. Gudauri is on our way to Tbilisi and we’re somewhat disappointed with the atmosphere at this renowned skiing location. Gudauri isn’t as picturesque and romantic as Mestia – aside from a petrol station and a small grocery store, there is nothing but a few hotels and the ski lift station. The climate, in spite of the coastal location, is continental. Summers are hot and winters are cold and snowy. Georgia can be reached by various means. A visa is not required for most European states. The quickest way to get there is by plane; Tbilisi and Batumi are Georgia’s international airports. The Georgian currency is the lari: 100 tetri make up 1 lari, while 1 euro corresponds roughly to 2 lari, depending on the exchange rate. Gudauri was originally a post station where stagecoaches would change horses on the route between Tbilisi and Vladikavkaz. In the 1970s, a children’s ski school was established along with the first gondola, and in the 1980s Austrian and Swedish investors opened a four-star sport hotel. In recent years, increasing numbers of international heli-skiing enthusiasts from the United States, Germany, Austria, Israel and Turkey have found their way to Gudauri. During the winter season, which lasts into mid-April, the snow base is still over 1.5 metres deep. Sometimes it’s possible to ski into May. The Octavia weaves its way eastwards through the mountains. Some 120 kilometres away in the centre of the Caucasian isthmus, Tbilisi stretches out along the banks of the Kura river. With 1.2 million inhabitants, the Georgian capital is perched on a chain of hills, and many residential neighbourhoods were built on terraces on the hillsides. In the afternoon, the narrow streets are heavy with traffic and we notice how little the usual norms of driving are followed in this city. At roundabouts, right of way goes to the more heavily frequented street. Drivers, however, are not always in agreement about which street that is. Georgians approach such situations with equanimity – a brief exchange of words, or an apology in passing, and then life moves on. An attitude that nicely fits the Georgian capital. This fascinating city is in transition: a mix of bustle, decay and hope. On the one hand, poverty drives many large families to live in perilously decrepit buildings while, on the other hand, politicians are driving the advancement of the economy and proclaiming a hyper-modern future with ostentatious new buildings. Fresh snow at 1,800 metres: helicopters fly from Mestia to the surrounding peaks, while the Octavia Scout makes its way through ice and mud. Since the Rose Revolution in 2003, the city has undergone a wave of renovation. Hotels, restaurants and cafés spring up on every corner – the Georgians love wine and music. We spend one evening in Tbilisi, eat the national dish of khachapuri, a sort of cheese pizza, and relax with a soak in one of the sulphur baths. Both the national poet of Russia, Alexander Pushkin, and the French writer Alexandre Dumas rhapsodised about these thermal baths over 200 years ago. The name Tbilisi itself means “hot spring” in Georgian. According to legend, King Vakhtang Gorgasali hit a pheasant with an arrow. The bird fled to a hot spring where the waters healed its wound immediately. The king was so impressed he decided to move his capital city to that place. We have one last destination in mind. By way of Chiatura, we drive to Vardzia, a cave and monastery city west of Akhalkalaki in the south of Georgia. 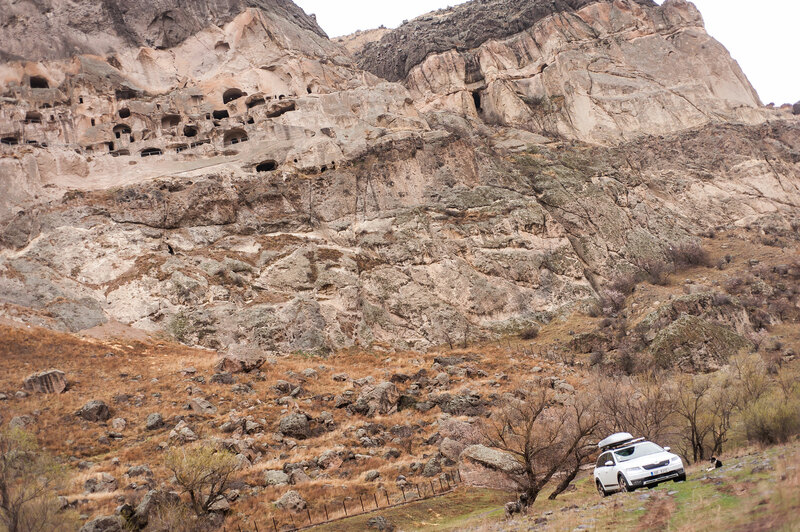 Vardzia was chiselled into a rock wall in the 12th century and is one of the most important sights in Georgia. The entrances are visible from far away due to the dark shadows. The caves look like gigantic honeycombs. Their builder was Georgian king Giorgi III, who envisioned the city as a fortified sanctuary against the Turks and Persians. His daughter Tamara established a monastery there and completed the building: 3,000 apartments of up to seven stories were built to create space for up to 50,000 people. After an earthquake, only some 900 square metres survived. But even today a few monks still live in the partially destroyed monastery. There are few shops in the countryside: locals prefer to do their shopping at the markets. The range of offerings is large and inexpensive. We drive up the road, park the car, walk over a bridge, and, on the opposite bank, walk some 300 metres back up the river on a dirt path. Admission to the cave monastery costs €2. Apart from a German couple and a large Russian family, we’re the only visitors this afternoon. The ascent of the rocky paths turns out to be worth the effort: the wild landscape spreads out before us in all its glory. It’s the perfect place for a monastery. The centre of the site is the Church of the Ascension, with its well-preserved frescoes. When we encounter a group of monks in front of the entrance, they nod amiably. The drive back to Prague takes us just two days. Time enough to ponder everything we had experienced. Raw and hospitable, authentic and lofty – Georgia is a land of contrasts and a place for explorers. A Georgian proverb sums it up: “It’s better to see something once than to hear about it ten times.” Off to Georgia! The cave city of Vardzia: Situated in the Lesser Caucasus, it was created in the 12th century. The site is now part museum, part monastery. Photo: Jiří Dymáček, Jürgen Mayer H., Joseph Wolfgang Ohlert, ŠKODA AUTO a.s.